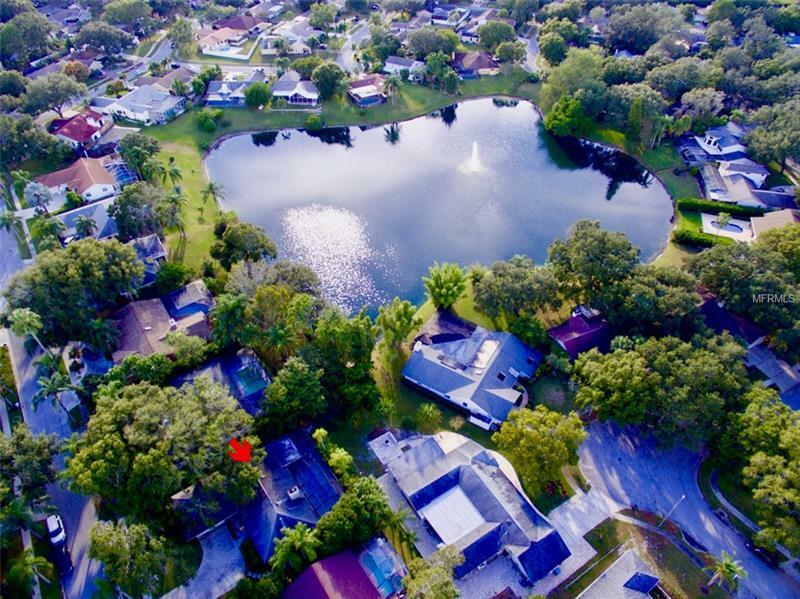 Completely updated 3/2/2 pool home with water view of spring fed Lake Valencia. Seller has receipts for 75k in upgrades done to the kitchen and inside laundry room and both baths. Matching granite and solid wood cabinets in kitchen, laundry and both baths. The beautiful kitchen features stainless appliances, a large breakfast bar and deluxe built in spice racks. There is also a built in wine rack and tons of counter space. This home also features a great room with cathedral ceilings and a lovely fireplace in the center of it all. Beautiful vinyl french doors lead you out to the lovely brick paved and screened in pool area. Enjoy a dip in the pool while you watch the game on your pool side t.v. Other upgrades and features include a Nest thermostat, newer electrical panel to 200 amps, and access to the pool area from the guest bath. No flood insurance required. Move in today! !